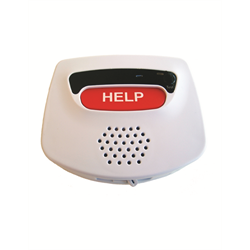 The LOM-41920 emergency wall communicator gives you that extra assurance you need to feel secure in high-risk areas of your home. 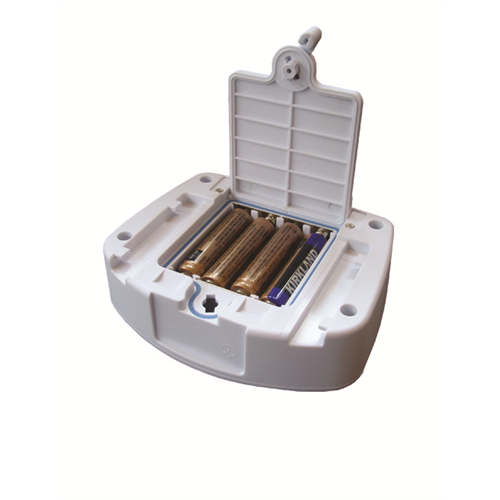 When mounted, the unit allows for two-way communication with the CaretakerSentry base unit. Ideal for placing near the bottom of stairs or by a bedside. As a water-resistant unit with an IPX5 rating, it can also be mounted by bathtubs or shower entrances. Installation is simple, you can either use the included screws or double stick velcro to mount the unit securely. The included 4 AAA batteries should be replaced every 6 months. Up to a total of 5 emergency wall communicators can be used with one base unit.